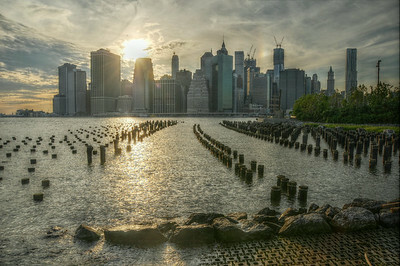 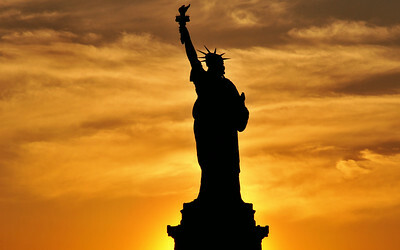 The sun is just about to fall behind the skyscrapers of New York's Financial District in this view past the piers of Brooklyn Bridge Park. 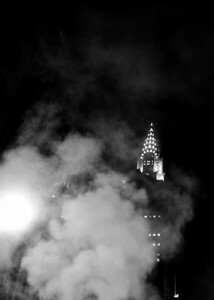 The Chrysler Building rises at night through a cloud of steam. 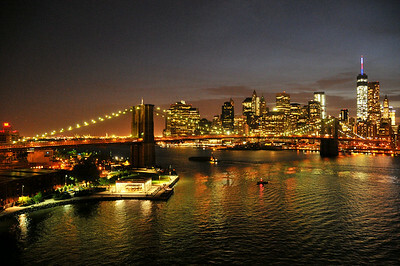 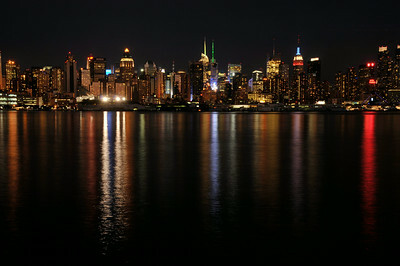 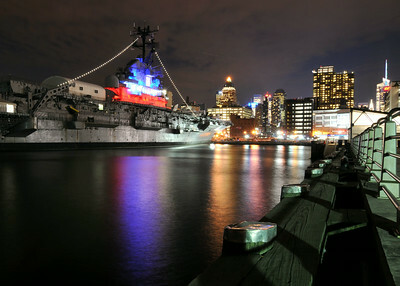 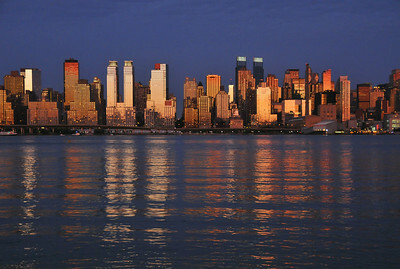 A view of the Manhattan skyline at night. 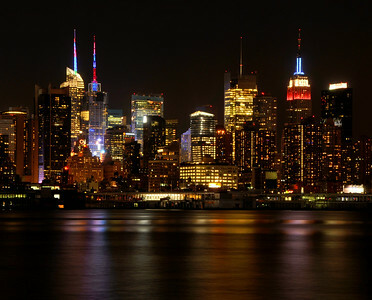 The Empire State Building is decked out in patriotic colors for Independence Day. 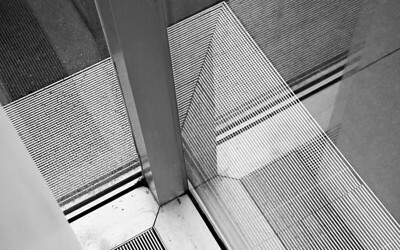 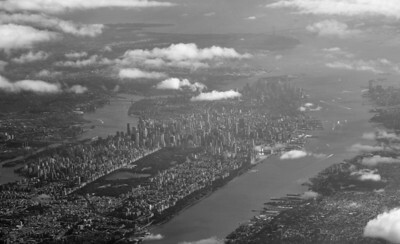 A slice of the Manhattan skyline from roughly Times Square to Herald Square. 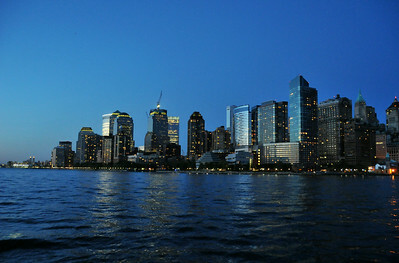 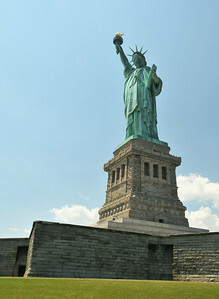 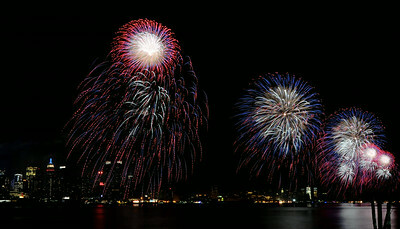 All the buildings are decked out in red, white, and blue for Independence Day. 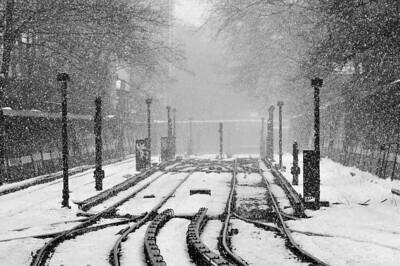 Snow falls along the tracks at Prospect Park Station in Brooklyn. 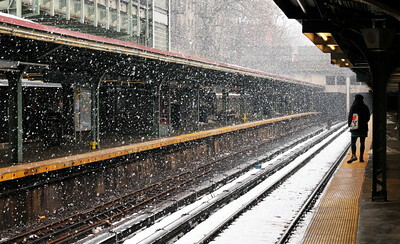 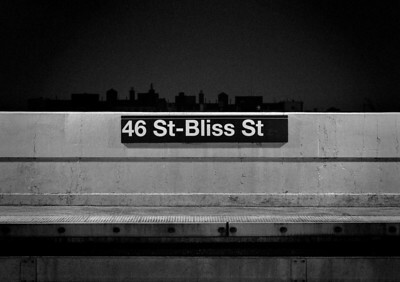 Snow falls along the BMT Brighton Line (the B/Q line) as it passes through Crown Heights, Brooklyn. 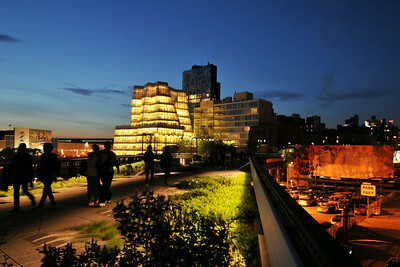 Twilight on the High Line brings a full spectrum of colors. 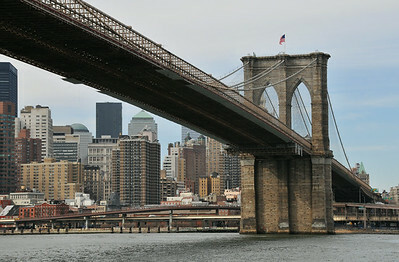 A view of the Brooklyn Bridge from the Fulton Ferry Landing in DUMBO. 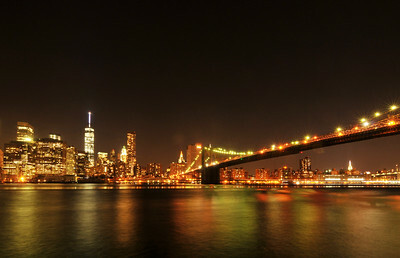 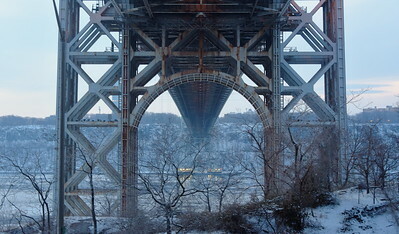 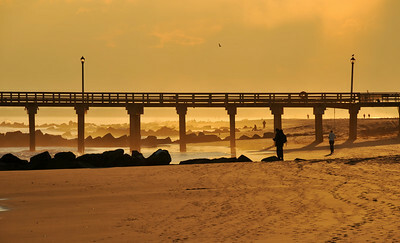 The new One World Trade Center is to the left, and up north under the curve of the bridge is the Empire State Building. 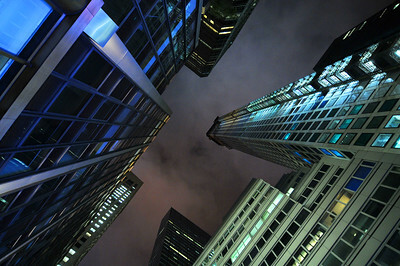 Looking up at the new tallest building in New York at 432 Park Avenue. 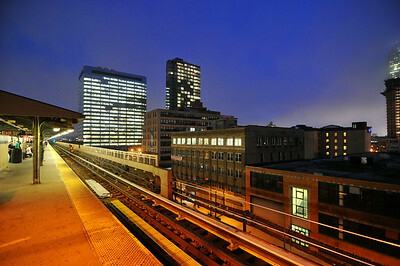 The narrow corridor of 56th street in midtown Manhattan is framed by skyscrapers.